Influenced by artificial intelligence and machine learning, HR’s role is shifting. What do these developments mean for the future of this field, and how do you prepare for this future? Michael Custers of NGA Human Resources is one of the speakers for Connect to Innovate’s HR-track on Tuesday 3 October. Sjoerd Groenweg from SAP SuccessFactors had a talk with him about recent trends and developments. Sjoerd: Michael, we both have backgrounds in marketing. From that angle, we’re used to thinking in terms of customer journey and customer experience. Do you see some parallels with HR on that front? They always consider the balance between the brand and the consumer. You could look at employee experience in the same way: as a collection of touch points between an employer and an employee. Mapping these touch points and optimizing them means you’re defining them, and will allow you to approach HR processes from the perspective of an employee – HR’s customer. Sjoerd: In the past, technology’s been a hindrance because we kept running into certain boundaries. Today, however, these problems are no longer an issue. There are so many possibilities. Looking at HR from that perspective, how do you see the future taking shape? Michael: I see two things. I see applications in the back-office becoming smarter. A chatbot which – through Slack or WhatsApp, for example – communicates with employees using AP and machine learning. That’s already a reality today. In the near future, this will replace transactional human interactions on various fronts, including HR. On the front end, you can see applications are becoming more intertwined with various processes. The whole idea of a User Interface will increasingly expand, and, like developments in the mobile area have done, we’ll be talking to bots and get a conversational UX. 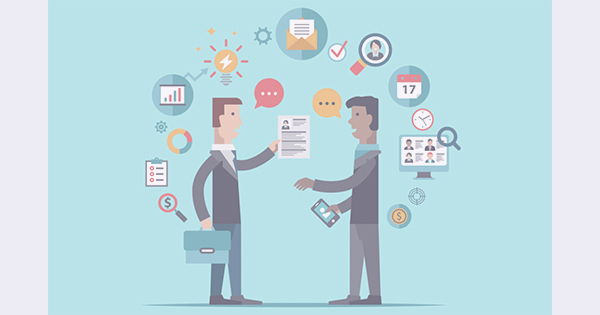 Through the disappearance of the transactional part of HR, and smart apps ensuring more (combined) knowledge, it’s important that the HR manager claims his position in the boardroom. Access to HR data and analytics is vital for HR to contribute to policy choices. For example: HR’s advice, based on the local job market, can be crucial when choosing a new business location. Sjoerd: Maybe the most important trends of the day are AI and machine learning. 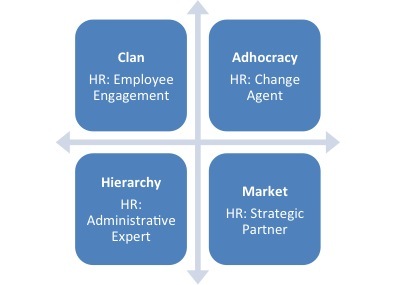 What do these trends mean for the development of HR into a strategic business partner? Michael: Organizations must focus on SMAC: Social Mobile Analytics and Cloud. For some companies, cloud still sounds like one of the possible future scenarios, but really this step is inevitable. It’s important to map how one cloud platform can create a uniform experience and pooling of processes. Companies that are already familiar with SMAC have to think about where to go from there, which means considering how AI and analytics can help them. One example of this is case management. This is an area where AI can help recognize patterns which indicate that 80% of employee questions about bonuses are related to the (lack of) logic of a specific tool. This is something HR can bring to the boardroom! Sjoerd: During Connect to Innovate, you’re going to dive deeper into improving customer experience and SMAC. Could you give us a hint of what you’ll be discussing? Michael: The narrative we’ve built consists of three parts. First, we’ll provide a time line, placing important developments of HR technology at various points in history. Then, we’ll focus on the infrastructure of the future, and the technology that goes along with it. Finally, we’ll look at the practical side of AI and machine learning. What will that look like in the near future? For example, think of a chatbot employees can communicate with in a way that feels natural, like they can with Alexa, Siri or Cortana. They’d ask something like ‘What’s my payroll look like this month?’ and get a sensible answer. You can get a taste of AI & ML in HR in the video below. Connect to Innovate takes place on 3 and 4 October 2017, and is a completely revamped knowledge event by SAP and then VNSG. The HR-track, featuring Michael as one of the speakers, takes place on 3 October. 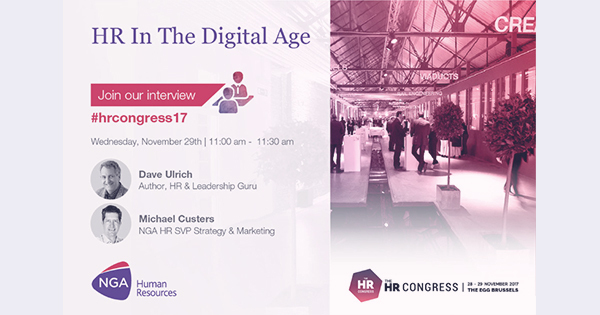 Discover how you, as an HR professional, can shape your role as a driving force of innovation, and visit this exclusive HR event!